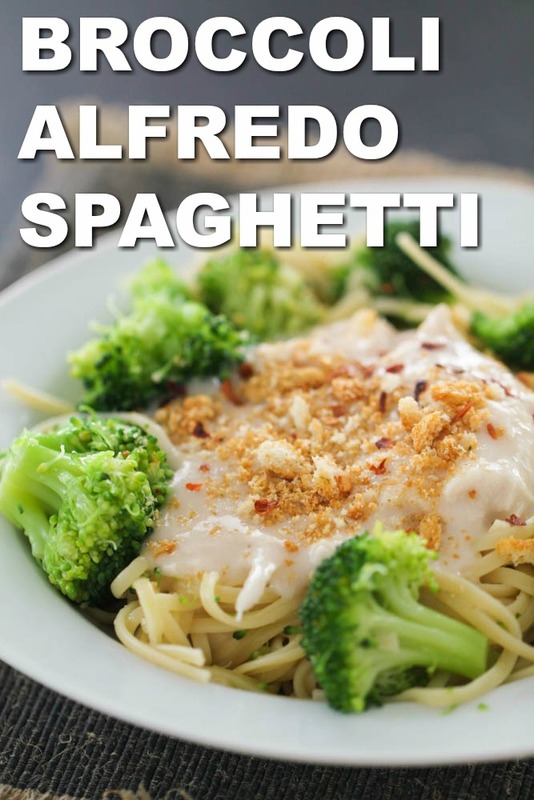 This Broccoli Alfredo Spaghetti is a creamy alfredo sauce served over pasta and broccoli and topped with crushed croutons and red pepper flakes. This easy dinner recipe can be made in less than 30 minutes! My kids aren’t big meat eaters. They would eat macaroni and cheese every night of the week if it was up to them. 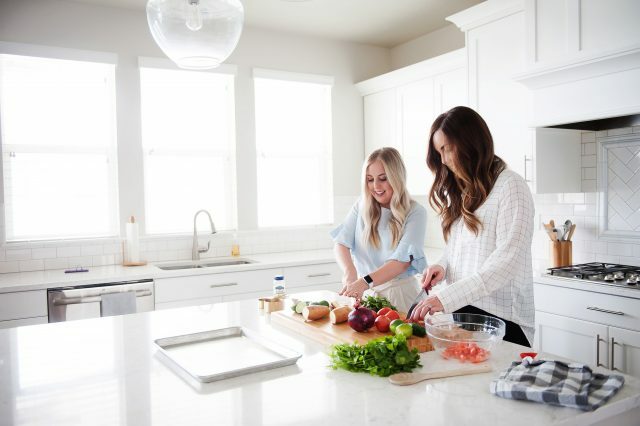 I have been really focusing on making more balanced meals that my whole family will eat and pasta is usually a pretty safe bet at our house. 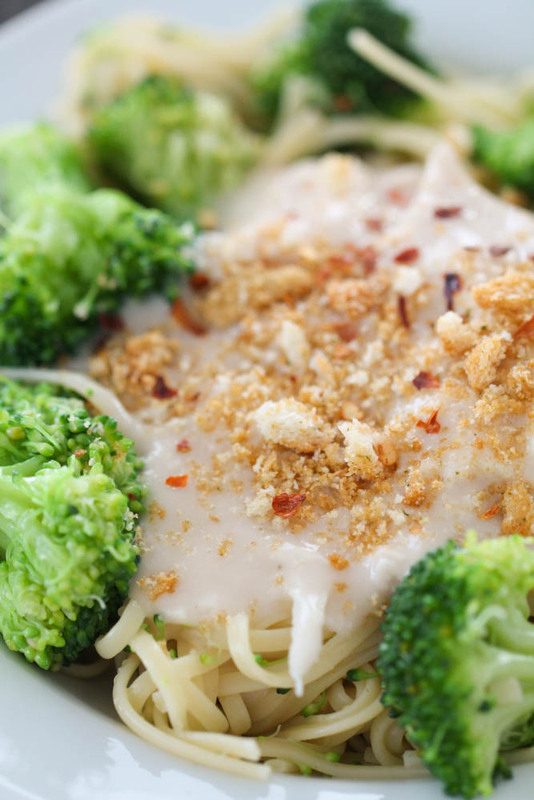 I love quick and easy dinner recipes, and this Broccoli Alfredo Spaghetti is just that. Whenever I make a pasta or spaghetti recipe, I start boiling my water before I do anything else to make things go that much quicker. And while my pasta is cooking, I get the rest of the recipe ready to go! However you cook this recipe, it will be done in less than 30 minutes so you can’t go wrong. Cook pasta according to package directions, adding broccoli the last 3 minutes of cooking. Reserve 1/2 cup of pasta water before draining. Drain pasta and broccoli and set aside. You can pour the pasta and broccoli back into the pan it was cooked in with the lid placed on top to keep warm. You could easily substitute the linguine or spaghetti noodles in this recipe for other pasta. Our kids love penne pasta and it is a little bit easier for them to eat. Combine beans, alfredo sauce and reserved pasta water in a blender and blend until smooth. Pour sauce in a saucepan over medium heat, stirring frequently until heated through. I know what you’re thinking, what kind of sauce has beans in it? That’s what I thought too! Cannellini beans (or white kidney beans) are full of protein, which is great because this recipe is vegetarian so you want a source of protein that doesn’t come from meat. 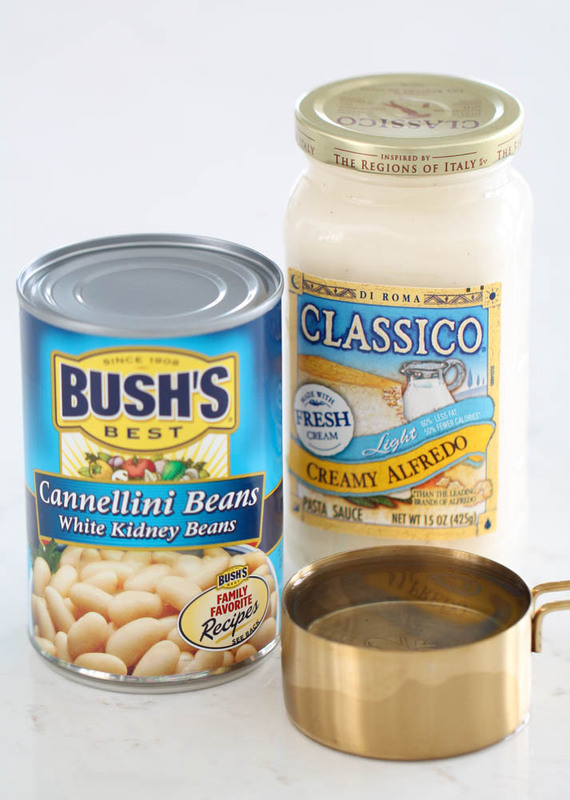 The Cannellini beans are also full of B vitamins, iron, potassium, zinc and other minerals. They also give a thicker texture to the sauce that we really liked. Just be sure to blend your sauce ingredients until it is completely smooth. No one will even notice the beans in the sauce! They don’t add much flavor, just a little thickness and creaminess to the sauce. Serve sauce over pasta and broccoli. Top with crushed croutons and red pepper flakes, if desired. You could also toss the pasta and the sauce all together and serve that way as well. Creamy alfredo sauce served over pasta and broccoli and topped with crushed croutons and red pepper flakes. Cook pasta according to package directions, adding broccoli the last 3 minutes of cooking. Reserve 1/2 cup of pasta water before draining. 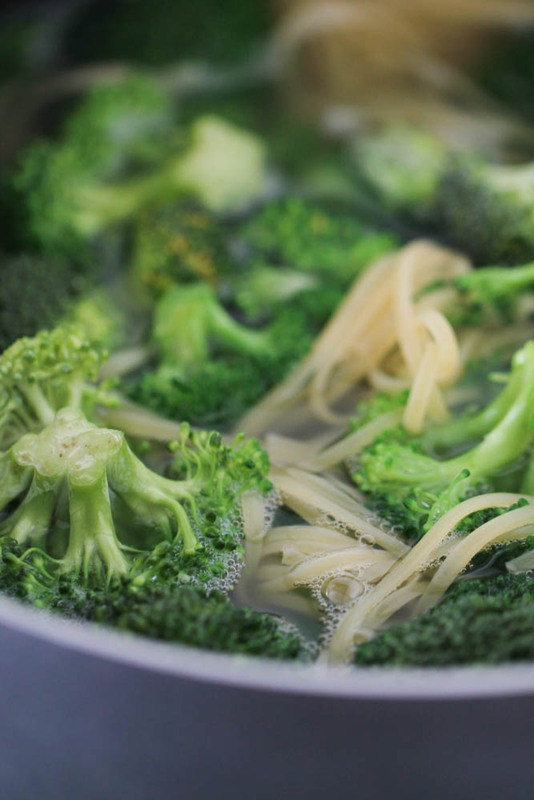 Drain pasta and broccoli and set aside. Combine beans, alfredo sauce and reserved pasta water in a blender and blend until smooth. Pour sauce in a saucepan over medium heat, stirring frequently until heated through. Serve sauce over pasta and broccoli. Top with crushed croutons and red pepper flakes, if desired. It's "broccoli" with two C's and 1 L. This looks delish. Do you have the nutritional info on that recipe?